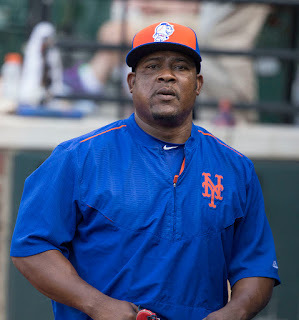 Juan Cespedes Uribe Tena was born March 22nd 1979 in the Dominican Republic. The right handed infielder would go on to play second, third & short stop in his long career. He began playing professionally in 1997 at just 18 years old. Uribe would debut with the 2001 Colorado Rockies, hitting 11 triples in his rookie year. He played three years there, with 2002 being his only full season. 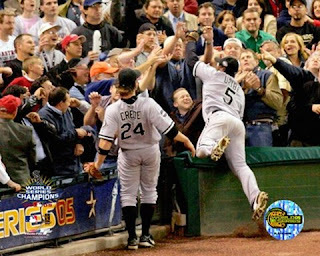 He then moved on to the Chicago White Sox being the starting short stop on the teams 2005 World Championship team. He he hit over twenty HRs & drove in over 70 runs in three of his five seasons there. 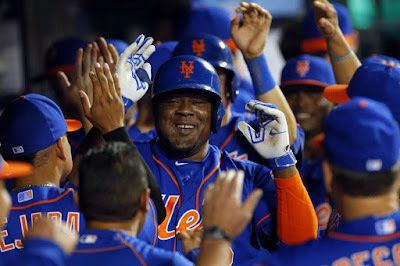 Post Season: In the ALDS against the Boston Red Sox, Uribe homered in Game #1 driving in three runs in the Sox 14-2 rout. He hit safely in every game of the series sweep & drove in another run in the clinching 5-3 game #3 victory. In the ALCS he hit safely in four of the five games against the Anaheim Angels. In the World Series against the Houston Astros, he drove in runs in the first two games of the series sweep. Overall he collected 12 post season hits. In Game #4 he made a leaping catch diving into the stands for a pop fly. In 2009 he signed a two year deal with the San Francisco Giants, where he won another a World Series. Uribe put up his best season power numbers in the Giants 2010 Championship Season with career highs in HRs (24) & RBIs (85). Post Season: In Game # of the NLCS he broke an 8th inning 2-2 tie, with a HR off the Phillies Ryan Madson at Citizens Bank Park. The HR won the game for the Giants as they won the series four games to one, advancing to the World Series. 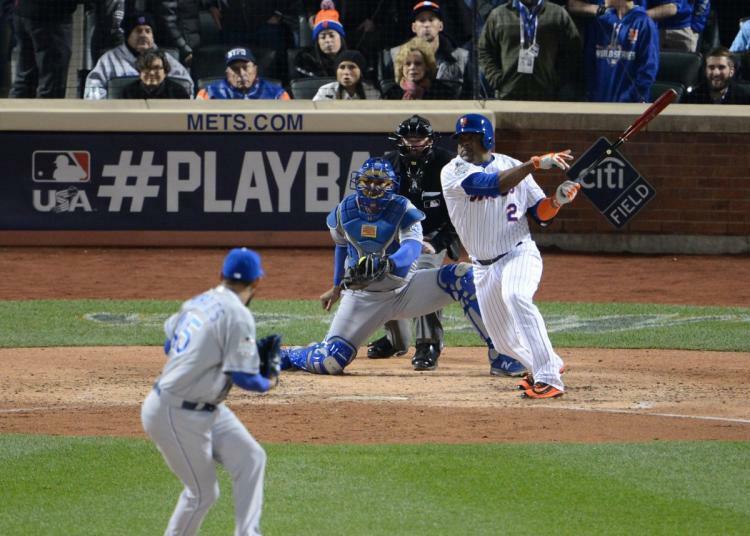 Uribe drove in three runs in that NLCS. World Series: In the World Series against the Texas Rangers he hit a three run HR in Game #1 at San Francisco, in a wild 11-7 Giants win. He drove in two more runs in Game #2 in the Giants 9-0 shut out, behind Matt Cain. 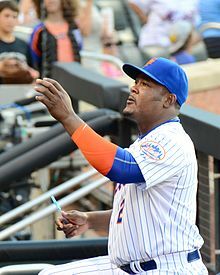 Uribe's next stop was with the Los Angeles Dodgers, where he spent parts of five seasons making two more post seasons. He became more of a reserve player in those years. Post Season: In 2013 he had another fine post season, hitting two HRs against the Atlanta Braves in the NLDS. In Game #4, with LA down 3-2, he hit a two run 8th inning HR off David Carpenter which proved to be the game winner & series clinching win. He would drive in three ore runs in the NLCS loss to the St. Louis Cards. In 2015 he went from the Dodgers to the Atlanta Braves, then on July 24th he was traded along with Kelly Johnson to the New York Mets. He & Johnson would play key roles in participating to the Mets NL Championship. At first when the deal was made the team was criticized for not making a bigger deal, that all changed on July 31st when they acquired Yoenis Cespedes. 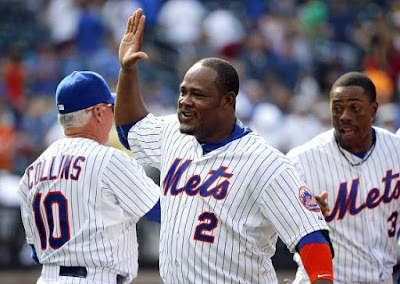 In just his second game as a Met, Uribe delivered a walk off base hit against his old Dodgers team mates for an exciting 3-2 Mets win. Just two days later he hit his first Mets HR. In August he began to get more playing time, and hit HRs in back to back games in Florida vs the Marlins & Rays. In mid August he drove in runs in three of four games, hitting his fourth Mets HR as well. Before August was done, Uribe would hit two more HRs. 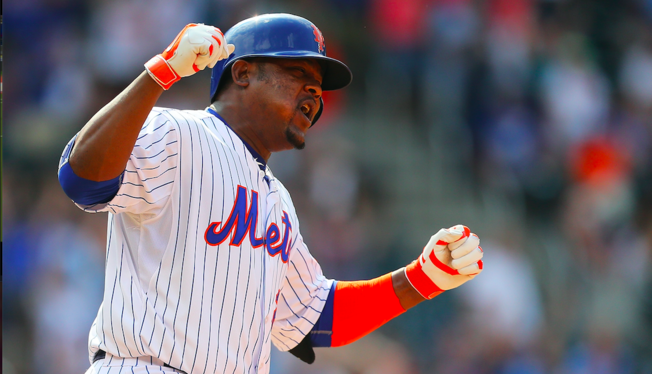 In the Mets big month of August where they too over first place, Uribe was a huge contributor, hitting 5 HRs & driving in 13 runs. 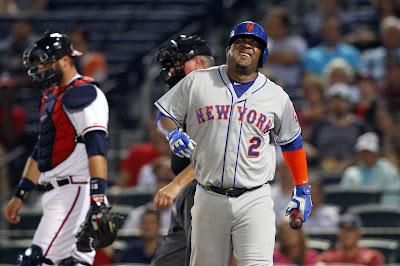 In September he had a big three hit, three RBI day on September 10th in a 7-2 Mets win at Atlanta. On September 18th, he came into the game late & hit a two run HR in the subway series, helping the Mets in a 5-1 win over the AL New York team. From there he suffered a chest contusion & missed out on the final days of the season & had to be left off the initial post season roster. 2015 World Series: Uribe was activated for the World Series, and as usual made the most of being on the big stage. 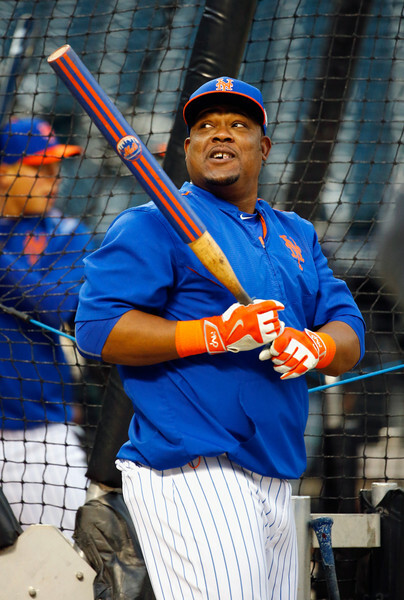 He made a pinch hit appearance in the World Series Game #3, in the 6th inning where he singled bringing in Juan Lagares for the Mets sixth run of the game. He would score on David Wright's two run single. In 2016 he closed out his career with the Cleveland Indians, playing until August when he was released by the AL Champions. In his16 year career he batted .255 with 199 HRs 1568 hits 323 doubles 43 triples & 816 RBIs with 388 walks 1224 strike outs & a .301 on base % in 1826 games. He has played 917 games at short, 644 at third & 228 at second base with 7 games as a DH. He won two World Series titles, played in three World Series & played in six post seasons, while winning two defensive Player Awards.